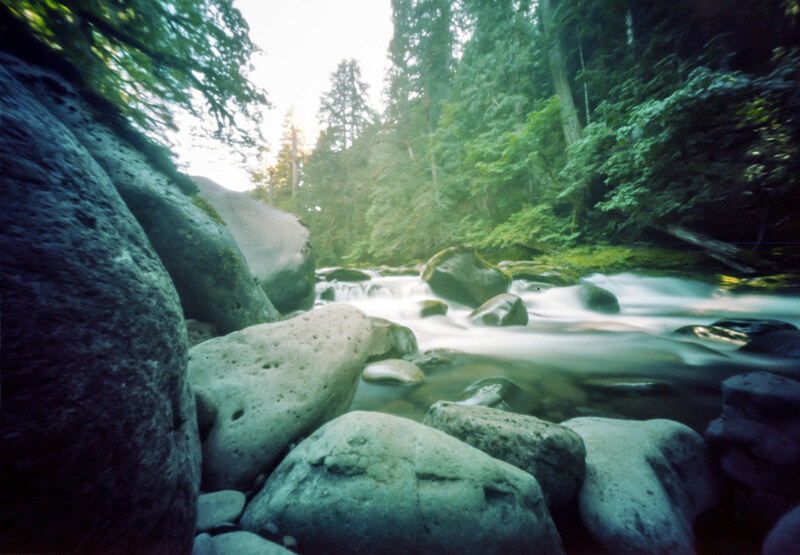 The photo above is one from that project – I took it at one of my favorite places, the Salmon River on Mt. Hood. I used Arista Edu 100 4×5 film. I used the 25mm configuration of the Zero 4×5. This photo reached #18 on Flickr’s Explore on Oct. 30th! I am rather shocked, but also honored. However, I can’t take myself too seriously here because right next to me in Explore is a photo of a guy laying on the ground taking a photo. sooo, yeah. Here is a photo I took the same day. It’s the exact same shot, same configuration, but with 120 film instead of 4×5. Ektar was used. I think it’s interesting to compare the two. I don’t really have any insight yet as to how I feel about one over the other. 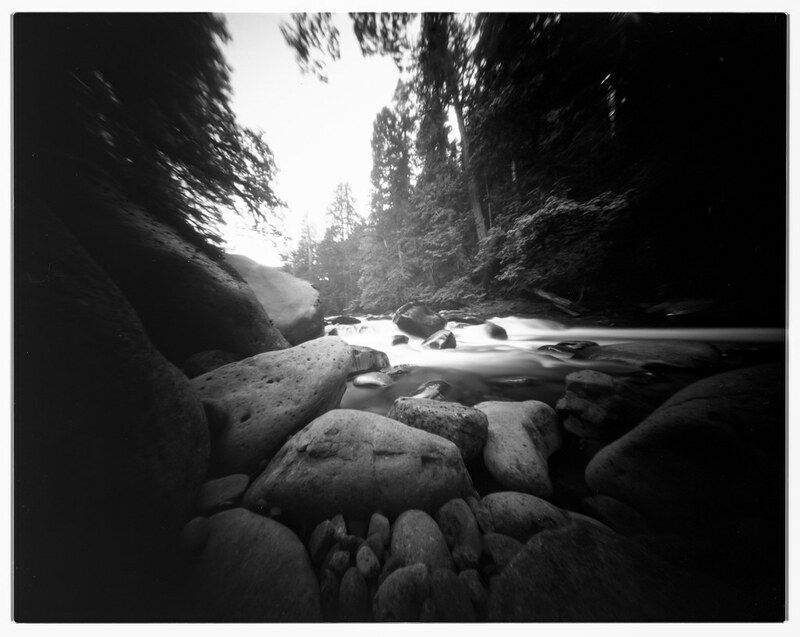 I lean more toward color when it comes to pinhole photography, so I find it fascinating that the black and white photo resonated with so many people on Flickr. The b/w shot conveys a mood that the color shot doesn’t quite capture. Perhaps that’s why people respond to it. They are both gorgeous, but I love the tone of the color shot. Plus, I feel it shows off the misty, hazy light much better.